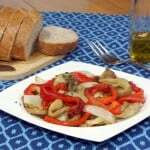 Flavorful ingredients piled onto thick slices of baguette make for a fun and unique party appetizer or pre-dinner tapas snack. This month, the French Winophiles crew is taking a look to the Southwest of France. 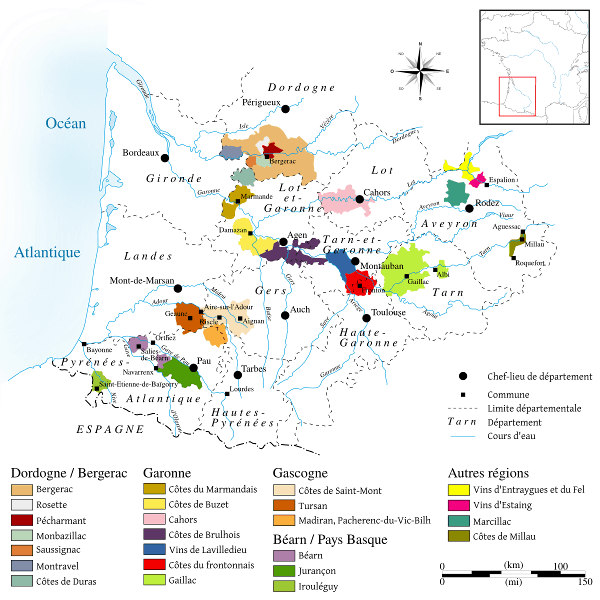 This region falls just south of the well known Bordeaux region is a lesser-known wine region, but it still produces some incredible wines. The wine we chose from this region comes from the Gascgone sub-region: Mont Gravet Côtes de Gascogne. Mont is in reference to the hills of the area, and Gravet is the term for the smooth oval shaped stones that are found throughout the hillside. The wine is 100% Colombard, a grape originally grown in the region for distilling into Cognac and Armagnac. The wine is a beautiful golden color and gives way to flavors of apricot and sweet pear with a slight hint of citrus. It is nice and bright, with a slight acidity and just enough dryness to round out the fruit flavors and give it a nice, clean finish. 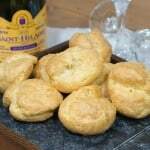 It was wonderful sipping alone, but also makes for a perfect pairing with with a light appetizer or seafood dish. 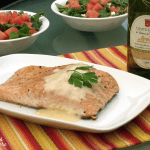 While we typically like to stick regionally for food and wine pairings, the traditional foods of Southwest France are a bit too heavy for our current warm temperatures. 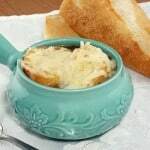 (This is, after all, the region of cassoulet, foie gras, and hearty fish stews.) So, we decided to hop a bit further south into the Basque region. This area along the Spanish and French boarder has a culture all of its own that is a unique fusion of the surrounding influences. Take Pintxos, for example. These small bites are the Basque region’s answer to Spanish tapas. After work, it is common for people to head to the bar, grab a small glass of wine, and graze on a number of these skewered small bites that have been placed out at the end of the bar. Pintxos (which means skewer) come in a number of shapes and sizes, but are traditionally small, flavorful elements that are piled high on a thick slice of baguette, whose construction is held in place by a small wooden skewer. 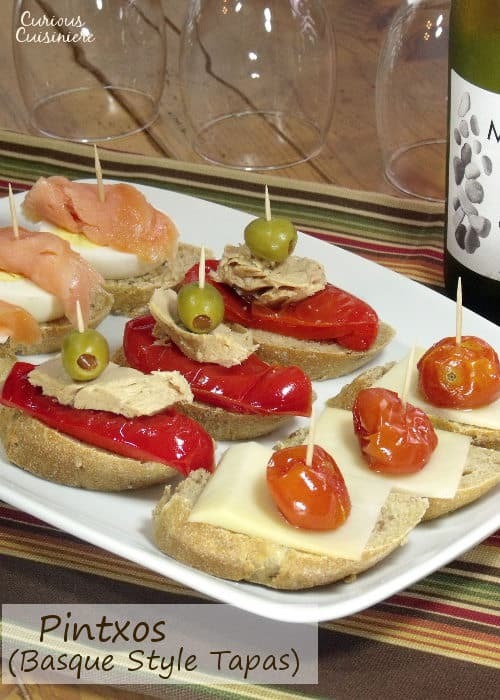 We chose to recreate three incredibly common variations: smoked salmon and hard boiled egg; roasted tomato and Manchego cheese; and tuna with roasted red peppers and green olives. The elements of each skewer play together to create a unique fusion of sweet, smooth, and salty flavors and textures. These skewers may look small, but they are mighty in flavor! And the pairing? 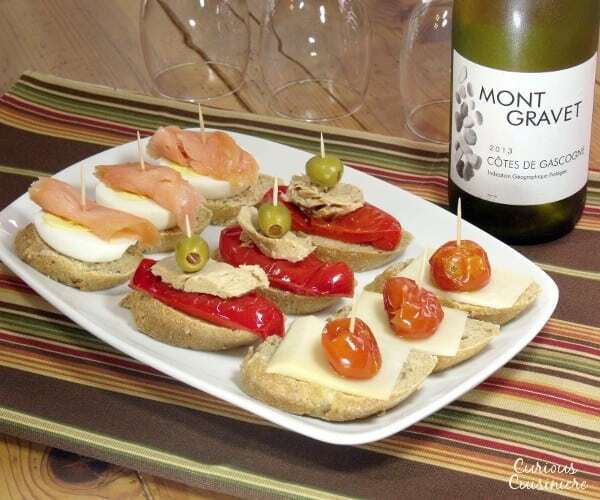 We found that the roasted tomato and Manchego cheese pinxto was our favorite paired with the Mont Gravet, the smoothness of the cheeses acted to mellow the flavor of the wine and the fruit notes of the wine gave the roasted tomatoes a whole new dimension of sweetness. The other two skewers also paired well, with the smoked salmon adding depth and richness to the flavor of the wine and the wine acting as a nice refreshing complement to the tuna skewer. 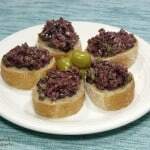 This would be the perfect appetizer pairing for your next summer party! We like to aim for 3-4 pinxtos per person when we serve these as an appetizer. Preheat your oven to 400F. To roast the red peppers and cherry tomatoes, toss the pepper halves and tomatoes with 1 tsp olive oil and 1/8 tsp salt. Place the veggies on a aluminum foil lined baking sheet and roast for 15 minutes, or until soft and slightly charred. Remove from the oven and let cool. While the veggies are roasting, prepare your other ingredients and start assembling the salmon pinxtos by placing a hard boiled egg slice on top of a slice of baguette and topping the egg with a roll of lox. Use a wooden skewer to hold the ingredients in place. When the peppers have cooled slightly, cut the pieces so they will fit nicely on top of a baguette slice. Place a bit of tuna over the roasted pepper and top it off with an olive. These really need the skewer to make sure everything stays put! Once the tomatoes have cooled place a tomato on top of a slice of Manchego cheese on a baguette slice. Secure the tomatoes in place with a skewer. 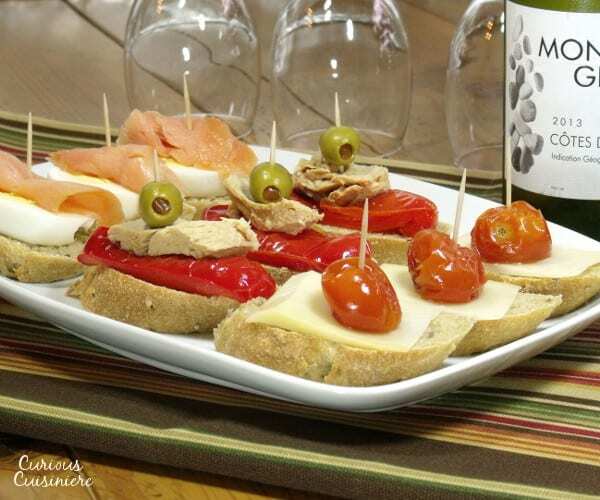 Serve the pinxtos immediately with glasses of South France wine! Get creative with other topping combinations that you think your guests will like. Just remember to use flavorful, quality ingredients! We find that the key to great pinxtos is to make sure each skewer includes elements that are smooth/creamy, slightly sweet, and slightly salty. Have fun! Continue the exploration into the wines of Southwest France with the rest of the French Winophiles crew! 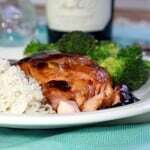 These are some great wines and tasty dishes! Sarah, smart choice to move a little out of the region for August. So many good food choices, but cassoulet in 85+ degrees? No. I’ve enjoyed a number of Cotes de Gasgogne wines, and always thought they were superb values. I had the pleasure of spending a few days in San Sebastian in the heart of Basque Country a couple of years ago. The Pintxos were amazing. Your post brought back some good and tasty memories Sarah. It was also a great reminder that as much as we enjoyed we’ve not attempted any at home. Thanks for the recipe…sound like a good pairing too! Ooh, after researching for this month, San Sebastian has made it onto our list of places we want to visit! Glad to bring back good memories! Lovely post & pairing. 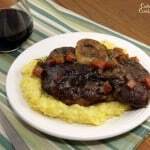 I was wondering if anyone would have Basque influence in their pairing. 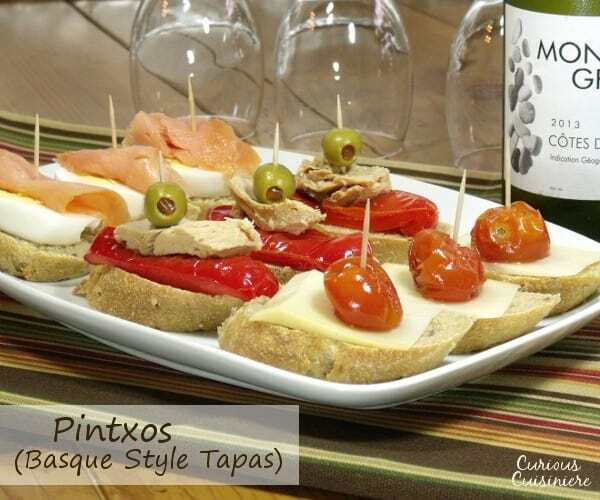 The Pintxos look ideal for our hot summer weather. Glad you enjoyed your wine pairing! Cheers! They were perfect for the hot temperatures we’ve been having! Also a perfect first course to enjoy while dinner is being prepared. Thanks.